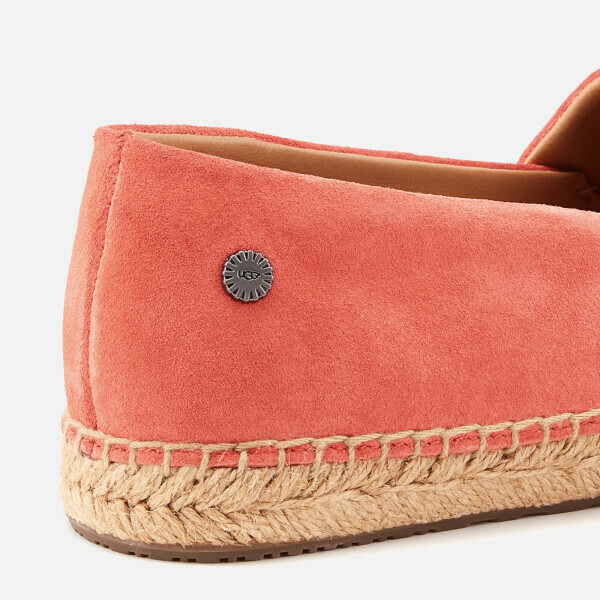 Women’s ‘Renada’ coral suede espadrilles from UGG. 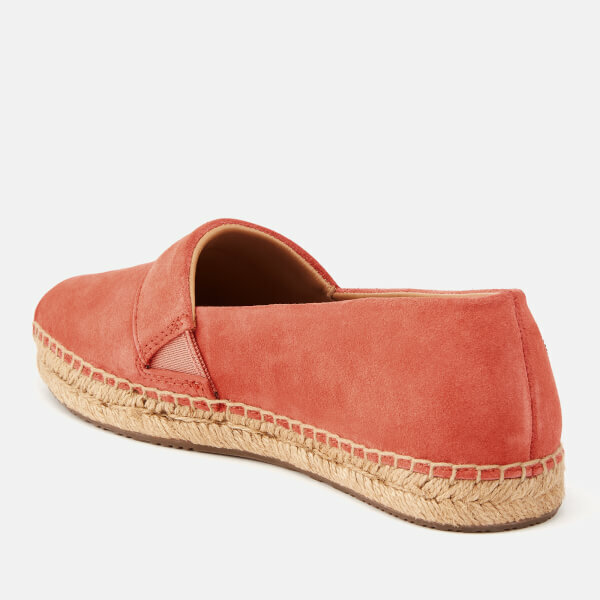 Crafted with soft suede uppers, the slip-on espadrilles are designed with a classic, braided jute midsole, hand-stitched sidewalls and a sheepskin heel counter lining for comfort. 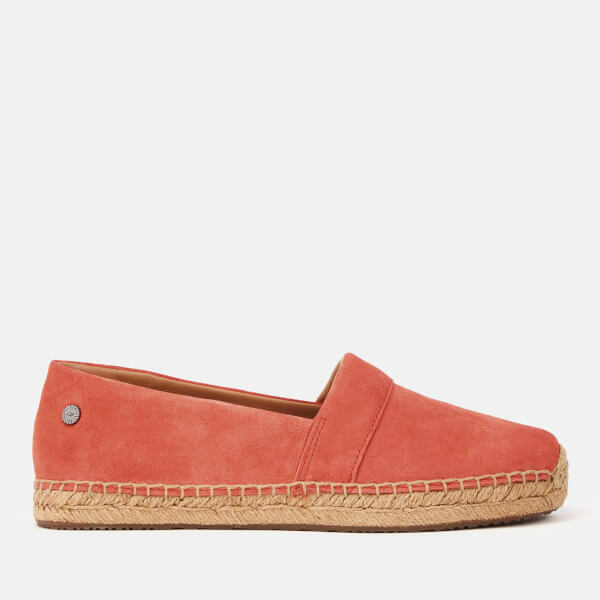 The espadrilles sit on a moulded rubber sole for increased traction. Complete with an elasticated strap over the midfoot and a logo-engraved stud on the heel. Upper: Suede. Lining: Sheepskin/Leather. 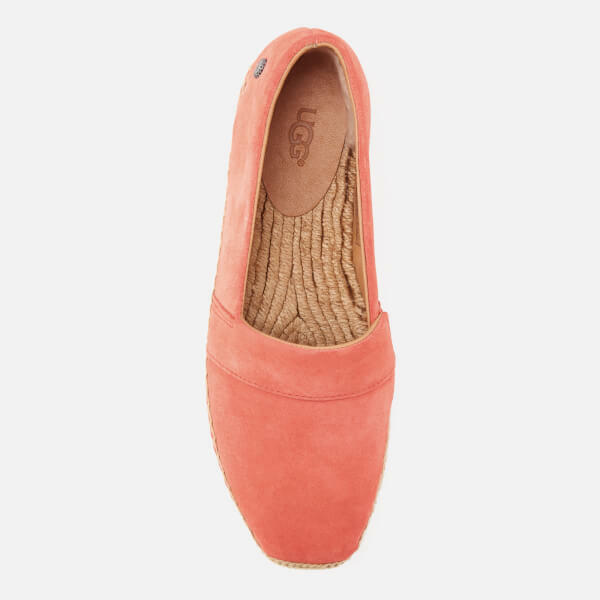 Insole: Jute. Sole: Rubber.